Congratulations to "Marybelle" the winner of Rionna's giveaway. Thank you to all who participated. …what happens when a serial killer sweeps a barrel racer off her feet? I have spent quite a bit of time lately visiting with readers. I so enjoy listening to how much they like the stories we all write. I am an avid fan of the Romantic Suspense genre myself, and it is always so fun for me to discuss a favorite new book. I am still getting used to the idea that I am a writer too. My first book The Wanting Heart was released, July 9th, 2012. As writers, I think we are a mystery. I know that in my recent conversations I’ve been asked so many great questions. There are three that seem to be the most prevalent: Where do you get your ideas? How long have you been writing? What’s your favorite type of character? I thought I’d take this opportunity to answer them. I’ve always had an outlandish imagination. When I was a child, I can remember looking out my window at night, watching the moonrise and inventing all manner of things. I would terrify myself to the point of tears. My poor mother. In the simplest of answers, I live. I pay attention to people and events around me. And I take a notebook everywhere I go. The book I’m currently writing has the thread of a single idea I got from a man I met who has Schizophrenia. Forever, really. Even before I could form a single letter, I drew loops and circles on pages and pages of paper. My family often tells of how I would present my writing, telling wild stories and turning the pages of my scribble book. What is your favorite type of character? I’d like to say, I love writing the hero. Which I do. I also really enjoy creating a brave and beautiful heroine. But, my most favorite is the antagonist, the scarier the better. I enjoy delving into the reasonings and motivations an antagonist could have. When I was writing The Wanting Heart, I spent a lot of time researching serial killers. I found that one of the most terrifying aspects of an incident involving a serial killer is the unknown. The victim never knows, can never prepare for the meeting. I tried to incorporate that into the plot of The Wanting Heart. But, to not leave out the hero and the heroine, I’ve included a small scene where they are together. “It’s late, Blake. I’m tired.” Kate said. “Not too tired to be kissing that city feller.” Blake could’ve kicked himself. He wanted to talk to her not fight. Blake couldn’t listen to another word. Holding her body, even in anger, was too much for him. Her words were crushed against her mouth as his lips covered hers. He lifted her off her feet, molding her body to his. She’d been nineteen the last time he kissed her. Her body had grown and filled out since then. But, he wasn’t thinking of that. He wasn’t thinking of anything, but how damn good it felt to just hold her, kiss her. Begging for her surrender, he stroked his hands over her hips, up her back and fisted them in her hair. Thank you for spending time with me today. 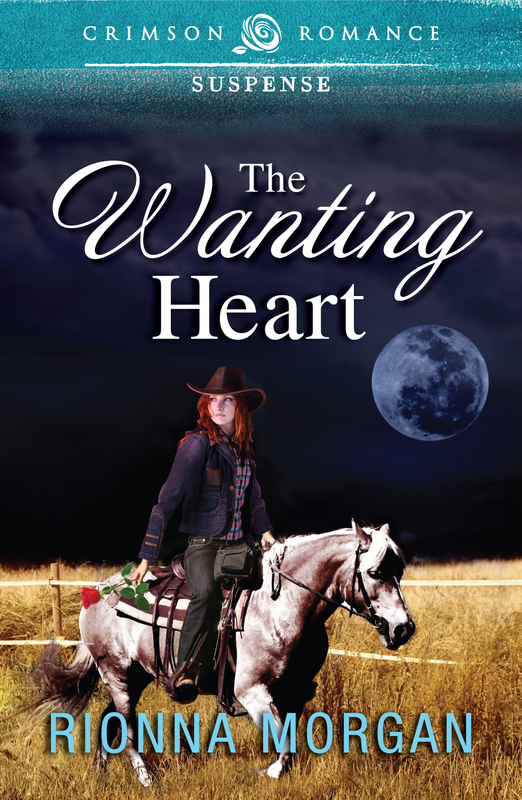 I’m giving away a copy of The Wanting Heart * to a lucky commenter as well as a Piece of Montana. Please be invited to visit my blog for more information on the Montana contest. I can be found at the following locations. I enjoy the company so please stop by! So very nice to meet you. I totally agree with you about romantic suspense--I love those books that bring tears to my eyes--my heart pounds, and I can't put the book down until I know everything is okay. Good, good luck in the giveaway!! Please be invited to stop by my blog as well and enter to Win a Piece of Montana! The jewelry is very pretty. So lovely to meet you. Thank you for visiting here today! In regards to serial killers being nice, for a time after I wrote The Wanting Heart, I would look at new people with a different eye. I'd wonder--who is this person really? I felt like I was being paranoid. Funny. Thank you for the congratulations! Good luck with the giveaway! Please be invited to stop by my blog as well and enter to Win a Piece of Montana! Romantic suspense is a favorite of mine, too. Good luck with the give away. Please be invited to stop by my blog as well and enter to Win a Piece of Montana! So nice to see you here today! I wish you good luck with the giveaway! I think you have, but if not, please be invited to stop by my blog and enter to Win a Piece of Montana! Thank you for the very nice compliment. You have a great energy. I love that! I hope you have good luck with the giveaway! Please be invited to stop by my blog as well and enter to Win a Piece of Montana! Thank you for the congratulations and the compliment! The release was yesterday and was so fun! 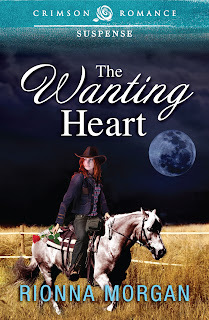 There is a giveaway of The Wanting Heart...if you're interested you can post your e-mail here or e-mail it to the wonderful Maureen: maureen@justromanticsuspense.com. Also, please be invited to stop by my blog as well and enter to Win a Piece of Montana! Congratulations on the book! Nice post and excerpt. Thank you for the congratulations and the very nice compliment. Good luck with the giveaway! Please be invited to stop by my blog as well and enter to Win a Piece of Montana! Your books sound most interesting. & it sounds like you have a lot of fun writing! Thank you for the very nice compliments. I do have a lot of fun writing. I'm pleased you stopped by for a visit! I hope romance graces your day. I have had the absolute best time today. Your guests are gracious and wonderful. Thank you so much for all your hard work. This site is a beautiful place to be. May all your days be graced with romance and a bit of mystery! Serial killers are scary. I enjoyed the interview thank you. I loved what you said about terrifying yourself to the point of tears. It touched me. I'm looking forward to reading THE WANTING HEART. So nice to meet you! Thank you very much for your kind thoughts. I'm a pleased to have connected with you. I am looking forward to sharing THE WANTING HEART with you. Thanks for the sneak peak in to your book. Love the interview. What a wonderful, nice thing to say. I am very pleased to share a bit of The Wanting Heart with you! I hope you have a day touched by romance and mystery! Thanks for a great post and congrats on the new release! I am pleased to meet you. Thank you for the compliment and the congratulations. I am having the best time! Thank you for being part of that.